3 Bedroom End of Terrace House For Sale in Huntingdon for Offers in excess of £205,000. 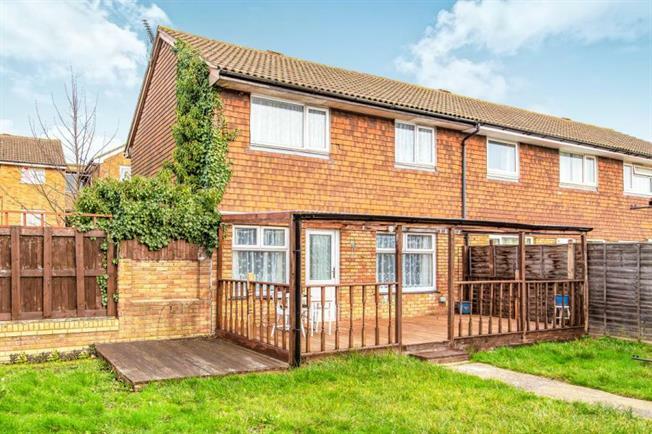 This lovely three bedroom end-terraced house is located in a sought after village of Warboys. The village itself is set approximately 8 miles from Huntingdon, with railway links to London and the North of the country and only 7 miles from St. Ives, with regular bus links to Cambridge. Warboys itself has got a wide range of local amenities, including shops, doctors surgeries and a Primary School. One of the best features of this property is the large garden with a patio that runs alongside the rear of the house. This airy home benefits from a good size kitchen leading into the dining room and a separate lounge. The downstairs also has a toilet and a good size storage cupboard. The upstairs of the property comprises two double bedrooms, one good size single bedroom and a family bathroom. There is also an off-road parking available.